Emily Arden-Close is Senior Lecturer in Psychology at Bournemouth University. 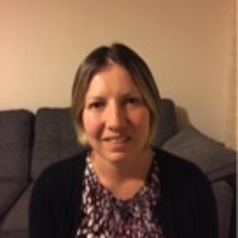 She completed her PhD in Health Psychology Research and Professional Practice at the University of Southampton, followed by research posts at the Universities of Sheffield and Southampton, and a mixed academic post at the University of Southampton. She is a registered Health Psychologist with the Health and Care Professions Council and an Associate Fellow of the British Psychological Society. Emily's research focuses on assessing and improving health and quality of life in chronic illness, including developing digital interventions to improve health. She has worked on a Cancer Research UK funded grant looking at sperm banking before cancer treatment, and an Asthma Research UK funded grant which developed a breathing training intervention for patients with asthma, the results of which were published in The Lancet Respiratory Medicine. Emily has expertise in both qualitative and quantitative research, and in design of questionnaires and randomised controlled trials. She brings to her work both awareness of behaviour change techniques and a person-based approach to involving users in the development of digital interventions. Emily's work has been funded by Prostate Cancer UK and the NIHR National School for Primary Care Research. She is a co-applicant on the EROGamb project, funded by GambleAware and Bournemouth University. This aims to use intelligent and real-time behavioural awareness techniques to prevent and combat problem gambling, which has been classified a public health issue.